Kompose is a tool to convert from higher level abstractions of application definitions into more detailed Kubernetes artifacts. These artifacts can then be used to bring up the application in a Kubernetes cluster. What higher level application abstraction should kompose use? One of the most popular application definition formats for developers is the docker-compose.yml format for use with docker-compose that communicates with the docker daemon to bring up the application. Since this format has gained some traction we decided to make it the initial focus of Kompose to support converting this format to Kubernetes. So, where you would choose docker-compose to bring up the application in docker, you can use kompose to bring up the same application in Kubernetes, if that is your preferred platform. At Red Hat, we had initially started on a project similar to Kompose, called Henge. We soon found Kompose and realized we had a lot of overlap in our goals so we decided to jump on board with the folks at Skippbox and Google who were already working on it. In this blog I’ll run you through a simple application example and use kompose up to bring up the application on Kuberenetes and OpenShift. 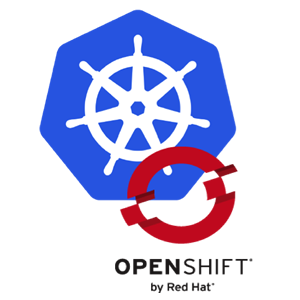 It is now easier than ever to get up and running with Kubernetes and Openshift. If you want hosted you can spin up clusters in many cloud environments including Google Container Engine and OpenShift Online (with the developer preview). If you want a local experience for trying out Kubernetes/OpenShift on your laptop, there is the RHEL based CDK, (and the ADB for upstream components), oc cluster up, minikube, and the list goes on! Any way you look at it, there are many options for trying out Kubernetes and OpenShift these days. For this blog I’ll choose to run on OpenShift Online, but the steps should work on any Openshift or Kubernetes environment. Once I had logged in to the openshift console at api.preview.openshift.com I was able to grab a token by visiting https://api.preview.openshift.com/oauth/token/request and clicking Request another token. 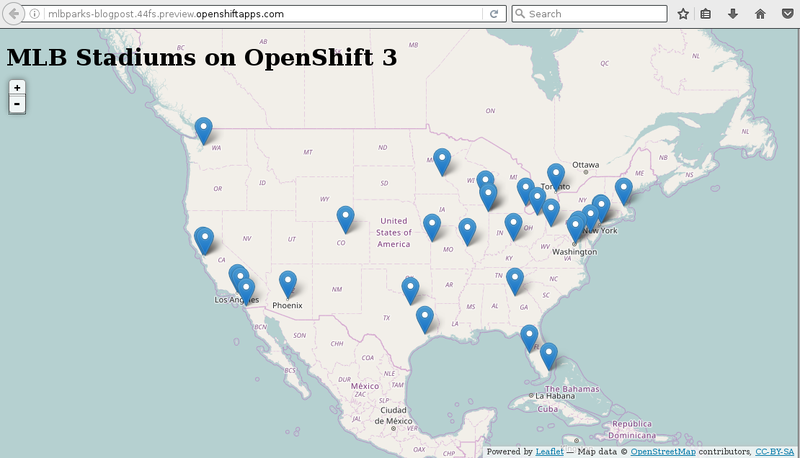 It then will show you the oc command you can run to log your local machine into openshift online. Logged into "https://api.preview.openshift.com:443" as "dustymabe" using the token provided. Now using project "blogpost" on server "https://api.preview.openshift.com:443". We are going to create OpenShift DeploymentConfigs, Services and PersistentVolumeClaims for your Dockerized application. Your application has been deployed to OpenShift. You can run 'oc get dc,svc,is,pvc' for details. Ok what happened here… We created an mlbparks Service, DeploymentConfig and ImageStream as well as a mongodb Service, DeploymentConfig, and ImageStream. We also created a PersistentVolumeClaim named mongodb-claim0 for the /var/lib/mongodb/data. Note: If you don’t have Persistent Volumes the application will never come up because the claim will never get satisfied. If you want to deploy somewhere without Persistent Volumes then add --emptyvols to your command like kompose --provider openshift up --emptyvols. For me this means I can now access the mlbparks application by pointing my web browser to mlbparks-blogpost.44fs.preview.openshiftapps.com.